We are out of Metal Straws for now! Stay tuned! 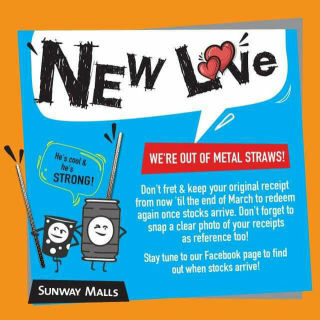 Don't fret and keep your original receipt from now till end of March to redeem again once stocks arrive. Don't forget to snap a clear photo of your receipts for reference too! Stay tuned to our Facebook page to find out when stocks arrive!